An album like "Black Masses" is a pointed example of why ELECTRIC WIZARD have become and will forever be known as one of the best doom/stoner bands in the history of heavy metal. Whether the quintessence of "Dopethrone" or the new-level of growth achieved on "Witchcult Today", vocalist/guitarist Jus Oborn has navigated this Freighter of the Occult with a steady hand through an ocean of trends and members, while ensuring that every release made an impact akin to a meteorite slamming into the earth. Opinions have varied on the evenness of said output, but most would agree that the discussions never revolve about notions of good or bad, but instead questions of "how good." 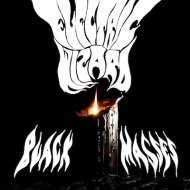 "Black Masses" is as authoritative a statement from ELECTRIC WIZARD as anything they've released since "Dopethrone". It is best to start with the drum and bass team of Shaun Rutter and Tas Danazoglou, respectively, as it is the foundation of the ELECTRIC WIZARD sound and on "Black Masses" ends up being more important to it than may at first be apparent. ELECTRIC WIZARD's trance-like qualities are built from the bottom up and allow Oborn and guitarist Liz Buckingham room to maneuver through areas of the cosmos equivalent to the wrong side of the tracks or the burned out, industrial part of town. Rutter and Danazoglou play a big role in the creation of that ominous aura and B-movie sleaziness that oozes out of this record like blood through the walls of that house in the "Amityville Horror". Analogue sound goes a long way in this regard too and "Black Masses" wouldn't be the same record without it. 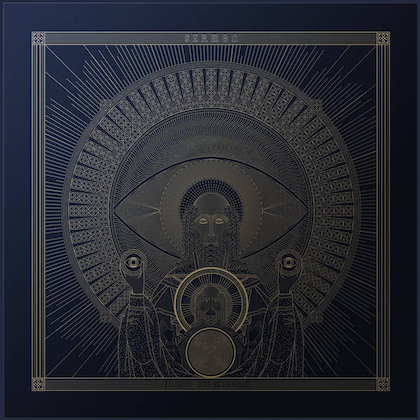 When combined with the fuzzed up and otherworldly riffs, as well as the sonic equivalent of blinding, pupil dilating flashes of light known as leads, "Black Masses" sounds like how certain '70s cult horror films made you feel when you first saw them; a little dirty, uneasy, and if you were a Catholic, ashamed at the prurience. Where the rubber has met the road with ELECTRIC WIZARD over the years is that through all of those psychedelic note squiggles and altered musical states was a development in songwriting that turned a single night of freak outs into long term ritual dependencies. If opener "Black Mass" doesn't hook you with that simple, subversive chorus, then your synapses have been misfiring longer than you'd care to admit. The same goes for "Turn Off Your Mind". This is addictive stuff. "The Night Child" too rises to dangerous levels of addiction, much like crystal meth. It is also one of two tracks ("Venue in Furs" the other) that arrive on the scene with pernicious riffing and hypnotic rhythms that leave no hope for escape, all part of the plan to keep you planted in place until the real trip begins. The opening section of "Venus in Furs" is massive, like musical accompaniment to an unreleased Godzilla film that featured the scaly behemoth trying to kick a nasty coke habit and turning all his rage outward toward the people of Tokyo. What's your drug of choice? That's the pertinent question. You'll be manufacturing your own images once you've plunged headfirst into the madness that is "Black Masses" before you even realize you're doing it. Maybe in your case it will be a low-to-the-ground creeper like "Satyr IX" that rings that dented bell or perhaps the experience you'll remember most is the paranoia you felt during your immersion in the instrumental mind-melt of "Crypt of Drugula". "Black Masses" is what the ELECTRIC WIZARD sound is all about. 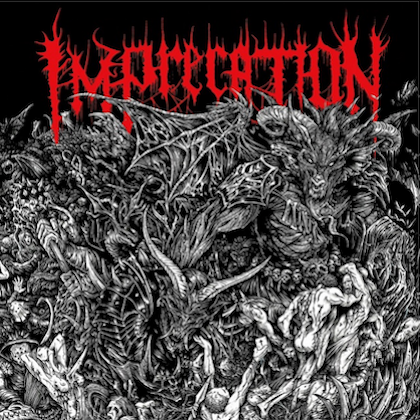 This one deserves all the praise it has gotten since its 2010 European release on Rise Above and will continue to get with Metal Blade's 2011 North American release. 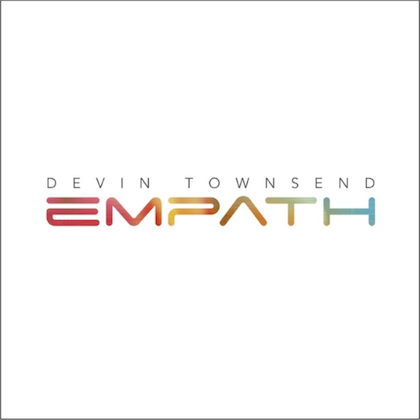 Incidentally, has anyone taken a gander at the photo on the CD itself? What's Tipper Gore up to these days?